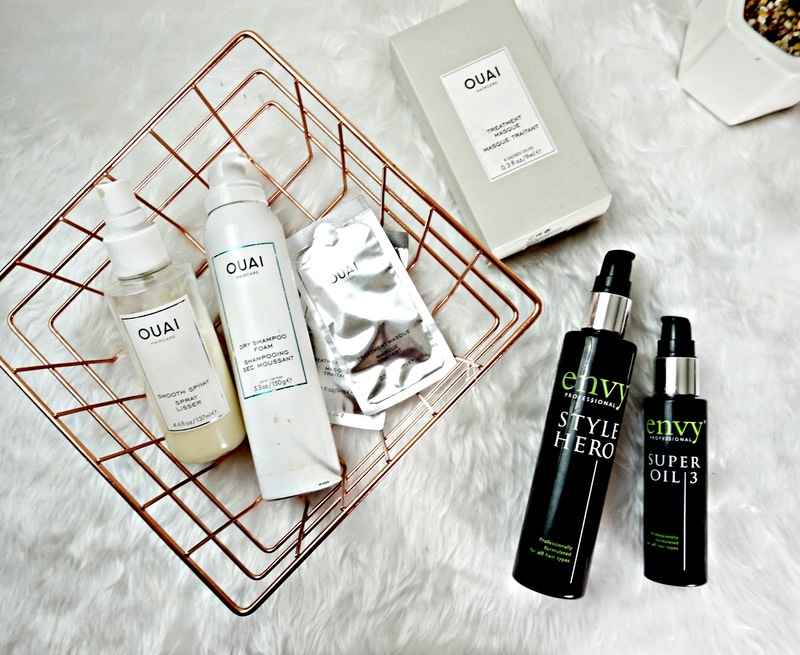 Over my blogging time I've discovered and tried so many amazing products, especially haircare. I used to think that you didn't have to pay a lot of money for good haircare. And while that is true for some products I have discovered some products that are whole heartedly worth every penny. I'm not the biggest fan of dry shampoo in general, I don't like the feeling it gives or the texture it creates in my super thick hair. Plus I have quite dark roots and I've not found one that dosn't leave a White cast. But this is a mousse that melts into the hair, taking away oily-ness or dirt, leaving hair looking like it's actually been washed! It gives the hair a really nice shine too. The formula doesn't contain any water to so won't cause hair to go frizzy or curl up either. Where has this been all my life? These are amazing. They're little sachets of an intense conditioner that you apply on dry hair before you wash it. The little sachets surprisingly hold of lot of product, there's enough to cover my long, thick hair. I like to apply on dry hair before shampoo for around half an hour, after rinsing and shampooing my hair feels incredible soft, shiny and smooth. I've tried a few products like this but nothing quite as good as these! I'm sorry for the Ouai spam, well I'm not because it's such a good brand it deserves recognition. This smooth spray is another one of my favourite products. I've actually used half the bottle and I haven't even had it that long! This is super smoothing. It can be used on wet or dry hair and either way it leaves my hair soft and manageable! Now I'm not really sure if Hair Envy is a luxury brand but the prices are a bit more than what I'd say is affordable. The Style Hero in particular is a product that has wowed me. I was sent my first bottle a while ago, but I have since repurchased this because I can not be without it. It's a blow dry lotion that has a gel like consistency but don't let that put you off, this isn't sticky or anything. This like tells the hair what to do when you blow dry. Since using this I can achieve a super smooth blow dry, which I couldn't really do before! Another product from Hair Envy I've been loving is this oil. It's silky smooth and melts into the hair adding shine, taming frizz and smoothing split ends. It can be used on wet and dry hair. I love this on dry hair though, especially when my hair is super frizzy. It instantly tames it and makes it so much easier to brush.